Although the trees are full blossom and birds are already back, spring weather didn't quiet yet arrived here. I am insisting on not wearing a coat and hopelessly believe that spring will come quicker. With a smile I remember a fellow student who was coming from Columbia (where the weather is always nice!) and didn't have any coat, never owned a real one. He was saying "getting cold is all in our heads, it is all psychological". Well, I don't need to tell you the end of the story, he got sick and missed the classes for a week and decided to get himself a coat. Aerin is the life style brand of Estée Lauder's grand daughter which is popular for its cosmetics, jewelry, home items, purses etc. I read that she aims at bringing effortless and luxurious beauty especially to busy woman. From all the scent I have tried, I can say that these are all very grown up and office friendly. Each perfume has a stone lid and the outer boxes feature fabric designs from her line. Amber Musk EdP has a pale brown lid and the box features an adaptation of a French document in the Lee Jofa archive that features two birds among exotic flowers and foliage. I am usually shy of amber scents because they end up being too heavy on me. I like intense scents but amber is something for the ones who really appreciate and love it. 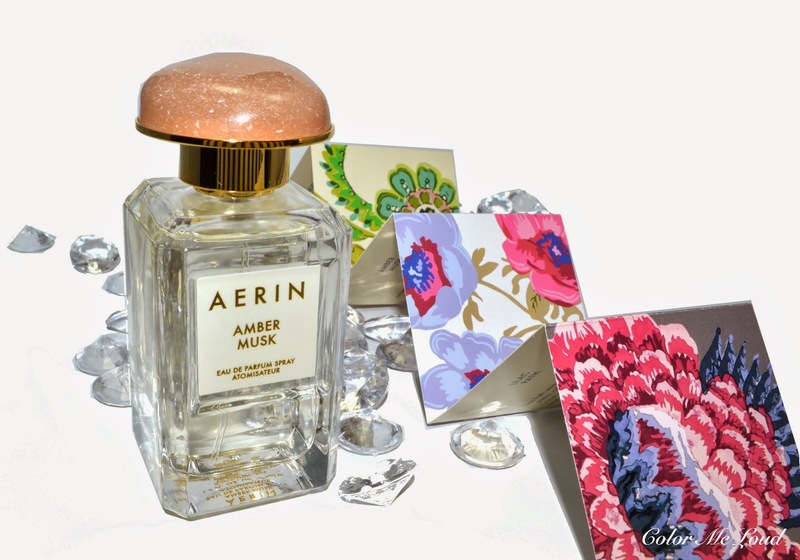 This is why when I heard that Aerin Collection has an amber, I wanted to try it. I thought this must be my chance to eventually like an amber scent because her creations are all very wearable and pleasant. I was right. If Amber Musk is designed to be a blanket to wrap you, then it is a light and airy one, nothing too thick, smooth like silk. It feels a tad sweet due to coconut water but never syrupy. Today I was sampling a few fragrances (Lancome La Nuit Tresor, Armani Si etc.) and felt like they all started having the same fruity syrupy heart which I am personally not a fan of. I find Aerin Fragrances being much more grown up compared to these. Amber Musk is no exception. Ambrox note's warm and almost mineral heart is well rounded with a touch of sweetness (coconut water) and silky opulent rose and lily of the valley. Both florals and coconut are supporting acts and they are not pronounced alone. To me Amber Musk never gets to be a floral but stays to be a somewhat as an ambery musky wood act. Dry down is musky warm and delicious. I picture Amber Musk being worn by a business woman in a professional setting on a cool day. The projection is pleasant, the longevity is very good. It stays over eight hours on me while staying close to skin for the last couple of hours. It is the first amber fragrance I can truly enjoy. Final thoughts: Amber Musk provides you with a light airy blanket of amber to wrap you in a cool day. Even if you are not an amber fan, give it a try because it is a lovely balanced composition which will be pleasant to many. To me Amber Musk is a grown up perfume for professional settings. It has great longevity and an office friendly projection. 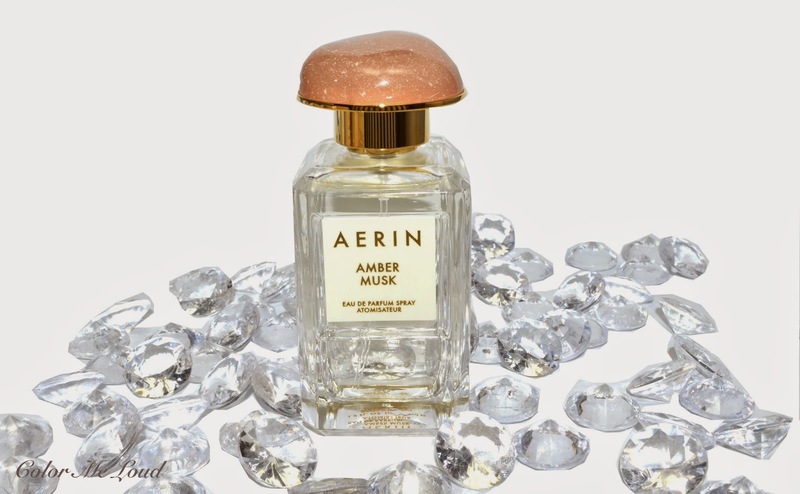 Aerin Fragrances are now available exclusively at Breuninger Düsseldorf/Stuttgart, KaDeWe Berlin, Oberpollinger München und Alsterhaus Hamburg. They are also available at Estée Lauder and Breuninger Online Shops. 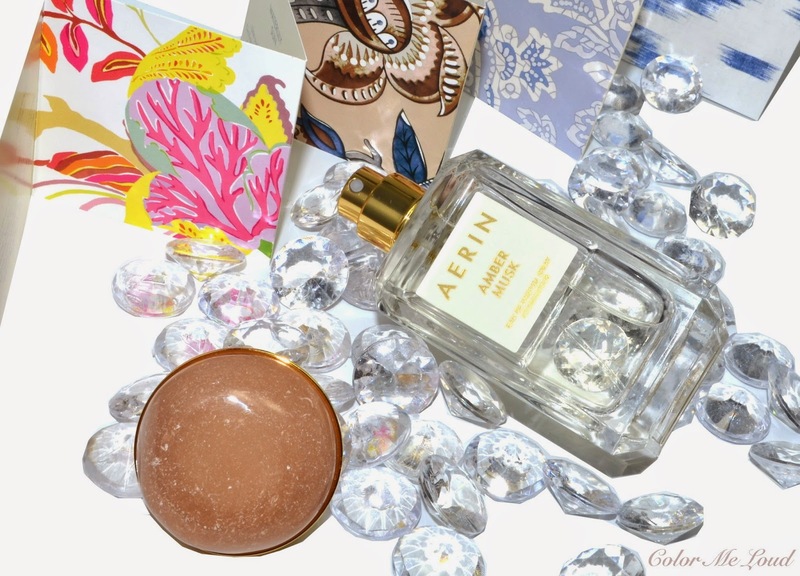 Have you tried any of Aerin Fragrances? Do you like amber in fragrances? Oh i wish Aerin would make its way to Singapore already!!! Here's something weird, because of the size of my browser window, when i opened up this page, i only saw the top of the bottle cap and nothing below... and i thought to myself, ok great, Sunny posted pictures of chocolates this morning, and now Sara has BURGERS!!! What a breakfast spread for me! ROFL! So i'm munching on my dull lifeless sandwich now and reading this lovely post you've prepared! :* Hope your Tuesday appointment went well! I did gry few of her fragrances but nothing wowed me. You're right about new scents being released in last couple of years: they are all too soapy, surupy, samey. From new releases I do love Jardins de Monsieur Li by Hermes and new Cartier. I had a chance to try Bal d'Afrique by Byredo but doesn't work with me too well. I hate perfume have great scents. Have you ever tried the Hermessence line of Hermes? You can only get it in their boutiques. Hmm now you intrigued me with Mediterrinean Gardens and Hermessence line. We have a Hermes boutique here, so I will go and check that out. Oh and those syrups and soaps are easy pass for me. maybe they will. The brand is so young, is just five years old or something. Now that they decided the extend, I am sure you will have it very soon. You cracked me up with burgers and chocolates hahaha. I had a good laugh in the morning!!! All of the Aerin fragrances that I've tried have been stunning, quite a while back I got a sample box with 6 ( I think) testers and I loved them all, but ended up getting a full size Gardenia Rattan not long after. The next on my list will be either the jasmine or lilac.